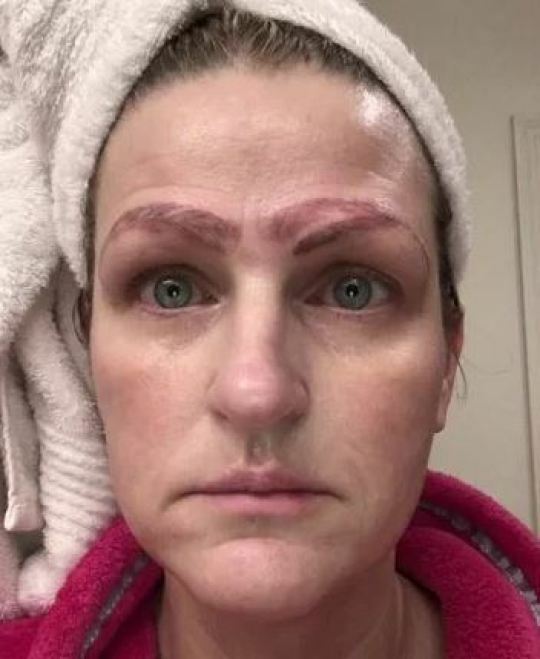 You’ve probably hearing the saying ‘if you buy cheap, you buy twice’, but you’re probably less familiar with the saying ‘get your eyebrows done on the cheap and end up with four’, but that is the phrase that could have saved this poor woman who ended up in exactly that unenviable situation. 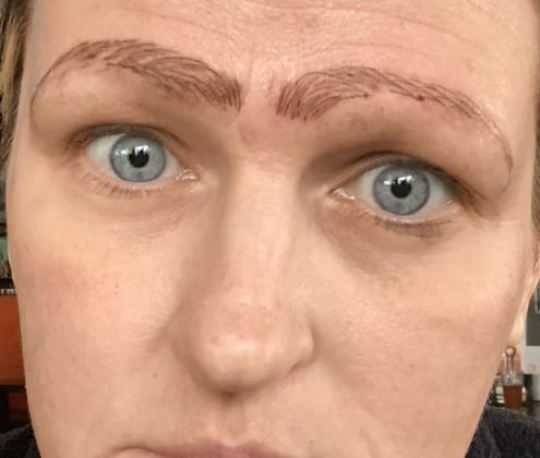 The person she went to see claimed to be a certified microblader – if you’re not in the know, microblading is a semi-permanent form of tattooing which sees practitioners adding hair-like strokes using either a small blade or a needle. The brows were so dark that make-up couldn’t cover them, and her confidence took a serious knock. At one point it got so bad, Jami refused to leave the house except to go to work and to pick up groceries. Anyway, all is well that ends well, I guess – because she’s now met up with licensed tattoo artist Kara Gutierrez, who said: “It took everything in me to hold back tears because this is the worst I’ve ever seen.” Alright, love, don’t rub it in. Gutierrez is now using a lightening solution on Jami’s eyebrows which will help to pull out the colour. Jami has to undergo the treatment at eight-week intervals and has around three more treatments before the brows will be back to normal – the whole thing will cost an eye-watering $1,000. “If I would have known it was going to turnout like this, I probably would’ve never done it at all.” Jami added. Probably? You’ll be pleased to know that the unnamed ‘artist’ who did the initial both job has since gone out of business. Shocker, eh?